that grew and grew and grew. How Exciting – Congrats!!! Happy Day Indeed! Thanks Christina….hip hip hooray indeed! You are one insightful mama 🙂 Thanks Erica. Yes, the 1st trimester was a very challenging time and I was not excited about food at all. I’m happy to say I feel like myself again. Yeah, I had the same hunch!! Congrats to you!! Thanks Madison. We’re very excited. Thanks so much Katie. 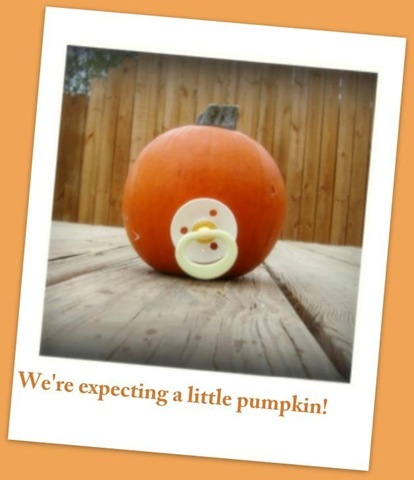 We are both so excited too…can’t wait to meet our little one. I am so happy for you hon! This is awesome news. If you need anything at all, you know where to find me. Congrats! What a gorgeous baby it will be!!!! Congrats! I’m a new Mom and it is SOOO amazing!! Super cute announcement! Congratulations on the new love coming your way.